Walker & Dunlop, Inc. (NYSE: WD) (the “Company”) announced today that it arranged construction and permanent financing through the United States Department of Housing and Urban Development (HUD) in the amount of $44,685,300 for 30 East Adams in Chicago, Illinois. Built in 1926 and known to locals as the old Hartman Building, the historic property is home to the iconic Miller’s Pub in the heart of the Chicago Loop. The loan enables the adaptive reuse of the office building into 176 market rate multifamily units with ground level retail. 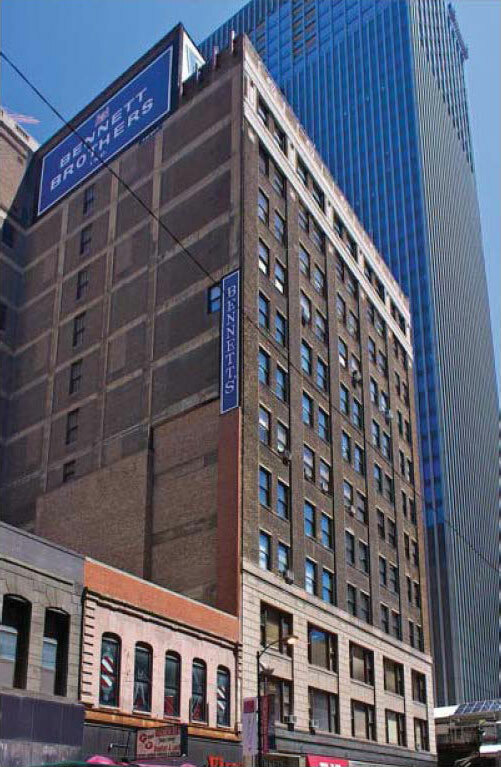 This is one of many projects intended to restore the Loop’s old office buildings as apartment buildings. Leading Walker & Dunlop’s team, Carolyn McMullen and Kyle Peterson arranged the financing for first-time HUD borrower Cedar Street Companies (“Cedar Street” or the “Developer”). Based in Chicago, the Developer has become well-known throughout the city for successfully converting several similar historic buildings into multifamily projects. The Company’s team utilized HUD’s 221(d)(4) program, allowing the Developer to capitalize on savings from the existing historic tax credits. The innovative team also implemented HUD’s green mortgage insurance premium (MIP), making this the first ever mixed-use project to receive such benefits. The fully-amortizing loan allowed the borrower to remove their interest rate risk by locking in the rate on a 40-year term with two years of interest-only payments. Once complete, 30 East Adams will include a rooftop deck, fitness center, and a new retail outlet on the ground floor adjacent to McDonalds and Millers Pub, two existing tenants who will continue to occupy their respective spaces. Located next to an L train stop and just blocks from shopping and cultural attractions, the property is a transit-oriented development that is rated as a ‘Walker’s Paradise’ and ‘Very Bikeable’1.